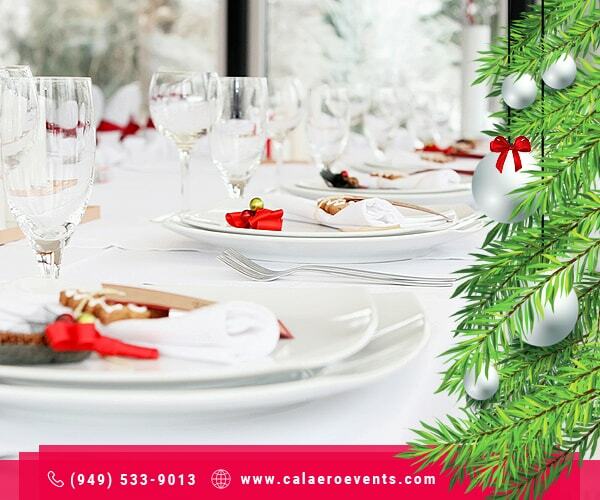 Present your guests with an ethereal view of a white Christmas! As simple as draping the space in white fabric and string fairy lights – which will turn the space into enchanted winter wonderland. Decorate with artificial icicles and finish off with sparkles as needed to add the magic glow. You could also match the menu to the atmospheric vibe to enhance the feel of the winter spirit and offer iced white cocktails, popsicles and even candyfloss sticks can be served to enchant the guests further. Don’t want to forget to pre-arrange your favorite holiday playlist to set the mood for the night. Masquerade balls too create a fun atmosphere for your guests. Is there a corporate party you hope to throw and attempt to give your hard-working peers a bit of respite? Masquerade balls are the way to go. Have your guests dress up in vintage clothing or costumes. Have masks on hand and witness the unfolding of unadulterated fun. Corporate Event venues in Chino Hills provide the perfect setting to organise novel parties which can even be customised with your own ideas. If you want to avoid the been-there-done-that vibe from the party you are hosting, use new décor and ambiance. To make sure that each guest has a great time at the party, organise DIY tables where your friends and family can indulge in channelling their creativity. For example: cookie decorating counters, mask making, DIY decorations on tiny Christmas trees – the list really doesn’t end. Make sure the activities vary, so there is something for everyone! You can even turn it into a contest of sorts to encourage participation and reward the best with Christmas goodies. Some people don’t like to sit around and talk, so participating in a fun festive activity will spark their interest for sure! Want to move the party outside? At our facility, at Cal Aero Events, you can easily do that! Gather around our outdoor fireplace with your eggnog cocktails and enjoy laughter and singing by fire on the patio. Office Christmas Party is that one party that employees actually make sure to attend. Make it fun! Surprise your guests with something a little less traditional this year and step it up a notch. Make this a night to remember and a kind of party that you would want to attend yourself!